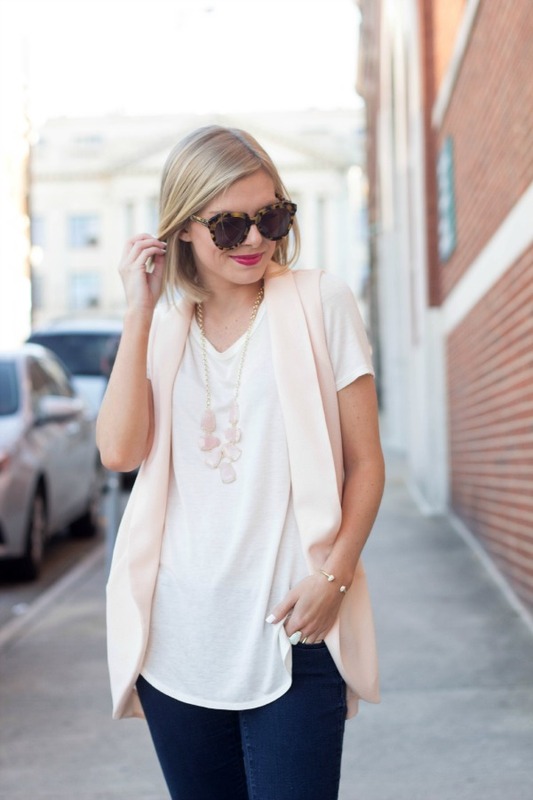 Lately I can't get enough of blush tones! 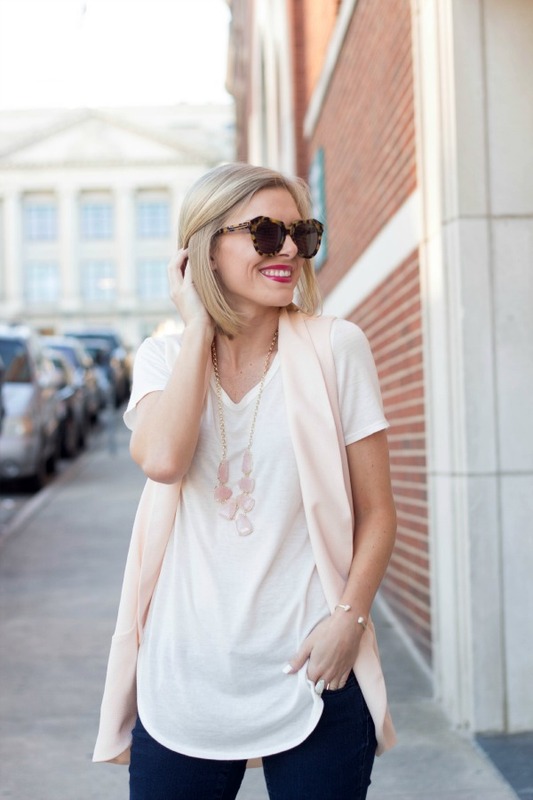 It's such a feminine color that has become somewhat of a neutral in my closet. 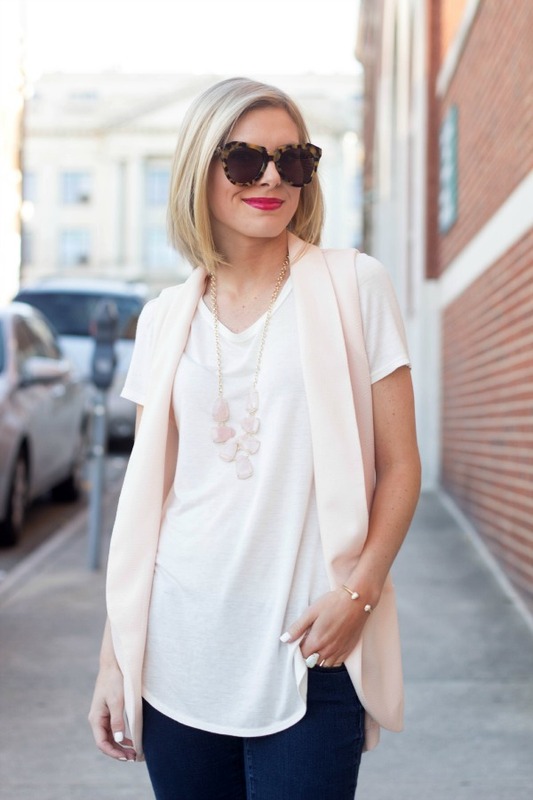 It all started with this Kendra Scott necklace. It was the first statement piece I had in this color...and it was with this that I decided I needed more of this color in my life! 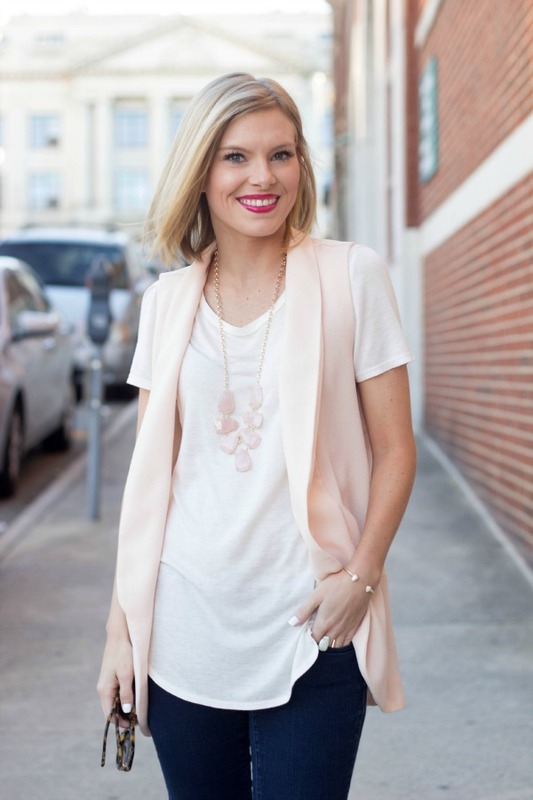 I got this blush vest from a trip to Nordstrom Rack and I can't wait to pair it with shorts and dresses this spring. 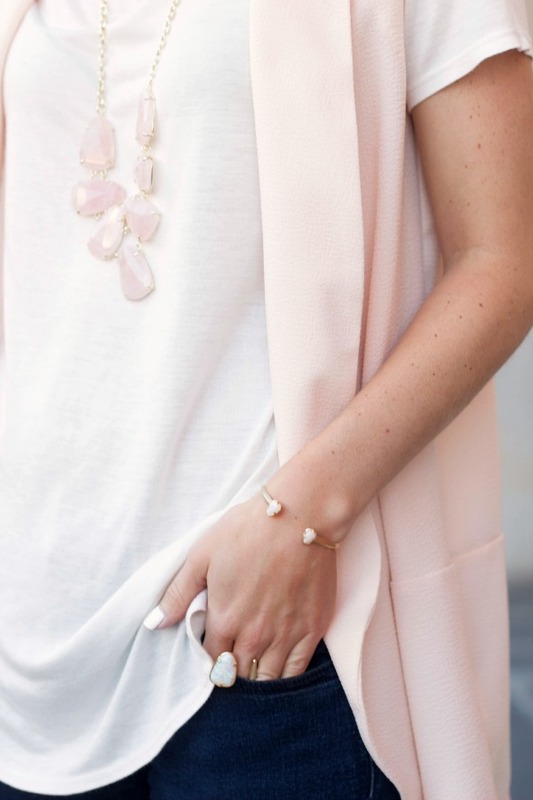 My favorite studded sandals finished off the look perfectly. If you've been on the fence about getting these sandals, I say go for it...they are my absolute favorite. I've been wearing them nonstop!